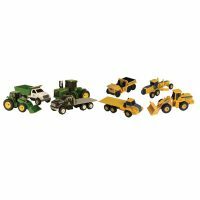 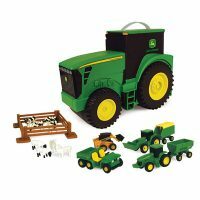 1/16 Big Farm Tractor w/ Grain Cart – Bartron Supply, Inc.
Set includes a 1/16 6210R Tractor with lights and sounds and grain cart. 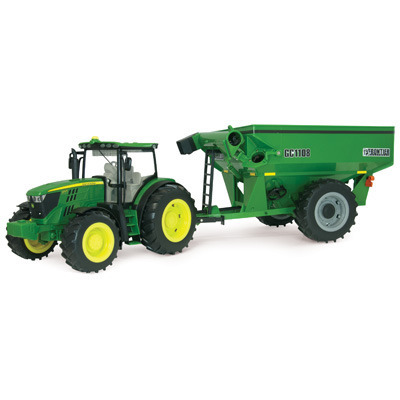 Great companion piece to Big Farm Combine and Peterbilt Grain Truck! 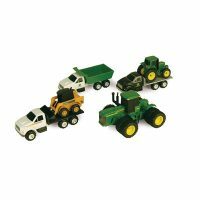 Compatible with other Big Farm and die-cast tractors and implements. 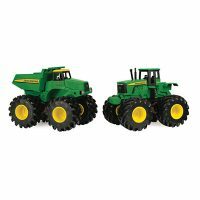 Requires 3 “AAA” included.